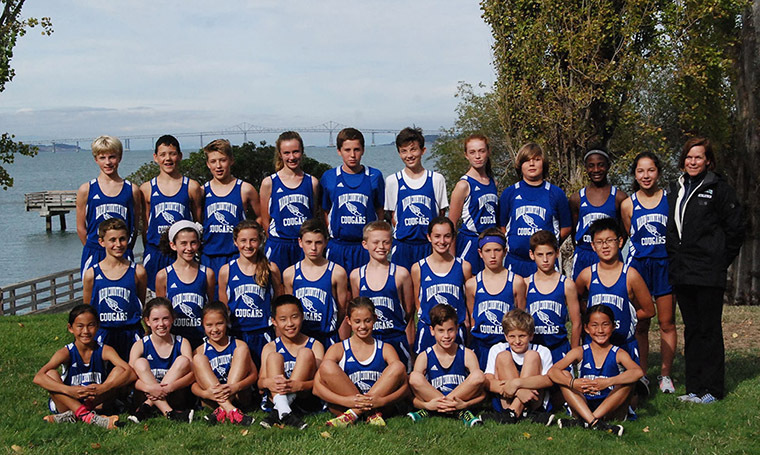 MCDS offers an unusually comprehensive Physical Education and after-school Athletics program. Students of all aptitudes, abilities and ambitions have ample opportunity to learn, evolve, achieve and succeed in a nurturing and supportive environment. Student-Athletes seeking an enriching, educational and competitive outlet may begin representing MCDS in interscholastic athletics beginning in the fifth grade. MCDS participates in the Bay Area Independent Athletic League (BAIAL), fielding teams of boys and girls at the 5th Grade, (6th Grade, Junior Varsity (predominantly 7th Grade), and Varsity (predominantly 8th Grade) levels. Sports offered include: volleyball, cross-country, soccer, basketball and track and field. Values emphasized on athletic teams are: commitment, persistence, resilience, and perspective. All teams recognize that one goal of an athletic event is to win, and players and coaches will employ specific strategies for success. In addition, teams are conscious that they are representing MCDS in the larger community, so their personal conduct assumes equal value with their competitive efforts.